The interface is pretty much the same for both Windows and Mac OS. 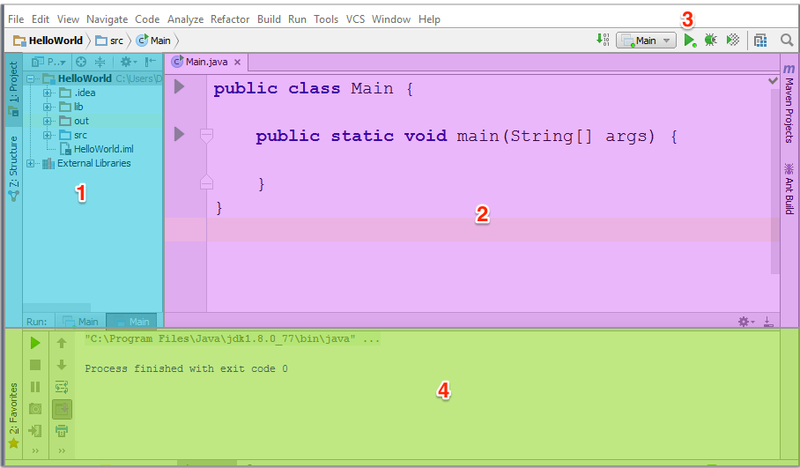 Here are major parts of the IntelliJ IDE. Project Files. Access your project files from here. Code Editor. This is where you write your Java code. Compile and Run. The green play button is used to compile and run your project. Output Window. This window shows the output from your program. Can also be used to send input to your program. The window automatically hides and shows when you run your project.